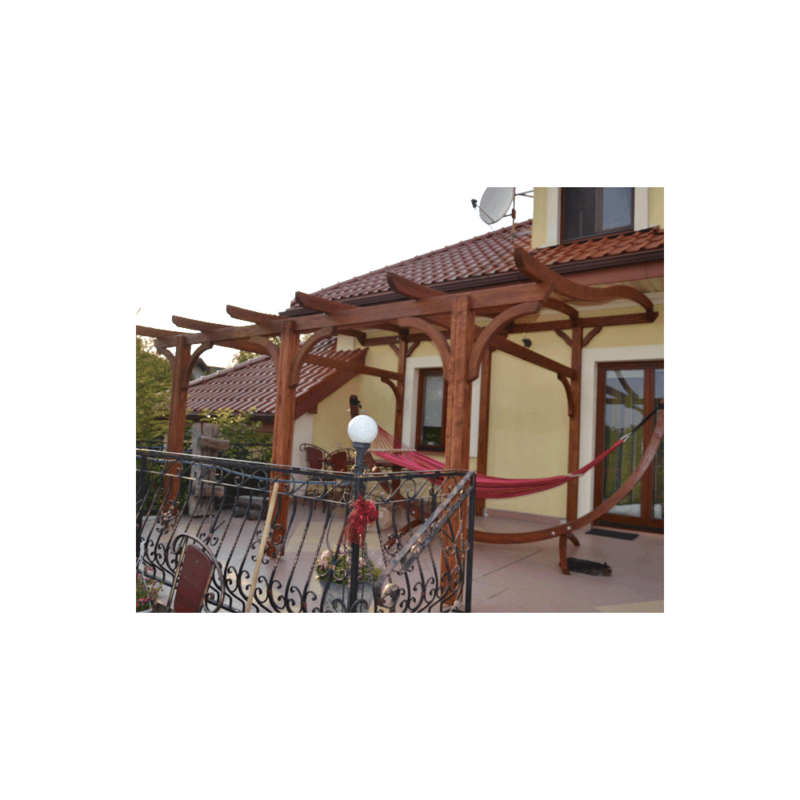 Jagram S-Line Pergola 4.1m: The Jagram S-Line Pergola is an eye catching and elegant curved wooden pergola. The structure can be used to train climbing plants and create a secluded and shady garden space. With a width of 5.25m and a depth of 4.1m, the pergola can accommodate large furniture items beneath and can become a space for outdoor entertaining or peaceful relaxation. Expertly crafted from responsibly sourced and high quality Northern European Redwood, the S-Line Pergola features attractive curved and chamfered timber components with curved supports beneath the overhead beams.